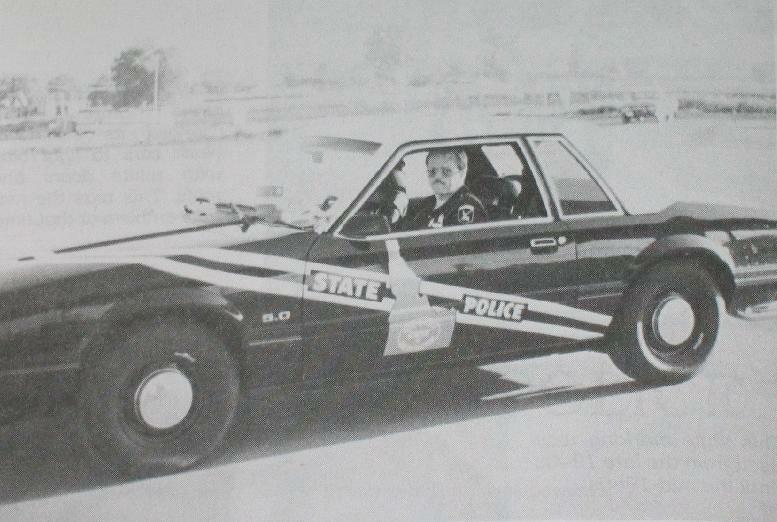 1983 Idaho State Patrol Mustang. Monty McCord photo. 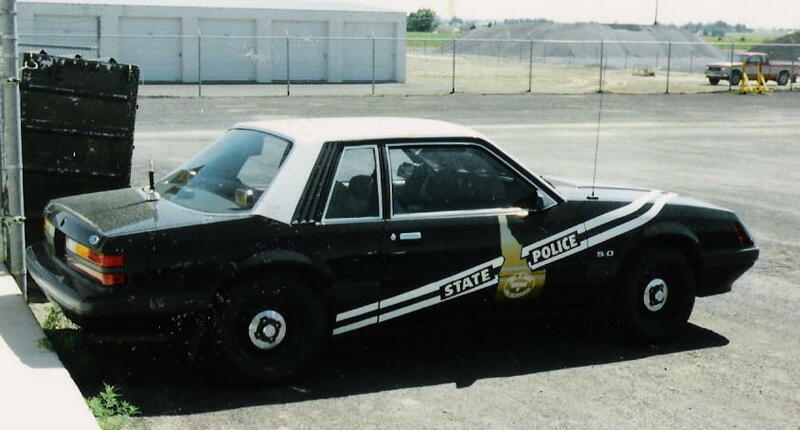 1986 Idaho slicktop. The rear decklights appear to be Sho-Me "No show"lights. These cars had pretty unique graphics. E. Prince photo.